Every month, we're adding issues to our collection of digitized publications from the Periodical Source Index (PERSI). PERSI is an amazing resource for genealogists - if you haven't heard about it yet, make sure to read why PERSI is now better than ever and check out some of the useful things you can find in periodicals. PERSI itself has indexed over 8,000 titles and our goal is to digitize as many of those as possible, bringing most online for the first time ever. We have a complete list of all publications we have currently digitized, but here are a few highlights. We have 44 years and nearly 1,400 articles from Genealogical Tips, the periodical of the Tip O' Texas Genealogical Society. This society, located in the Rio Grande Valley of Texas, has been collecting and disseminating genealogical information since 1962, giving us a nearly complete collection of their publications. Genealogical Tips is understandably strongest in articles involving Texas subjects, but don't skip over this one if your'e without Lone Star State ancestry - you'll still find plenty of articles on other areas of America. You'll also find hundreds of how-to articles on everything from planning genealogy vacations to researching your Scotch-Irish heritage. Not surprisingly, there truly are a wealth of tips from the Tip O' Texas! We just released four years' worth of the Allen County Genealogical Society of Indiana publication, Allen County Lines. Volumes 36-40 encompass 2011-2015 and hold an amazing amount of local Indiana history, from newspaper clippings to class photos to menus from local restaurants. Go forth and search for your Hoosier ancestors! Published quarterly since 1870 by the New York Genealogical and Biographical Society, the New York Genealogical and Biographical Record is one of the most distinguished genealogical journals in the country. The journal's entire run comprises nearly 600 issues and forms the largest single collection of published material on families that lived in New York State. 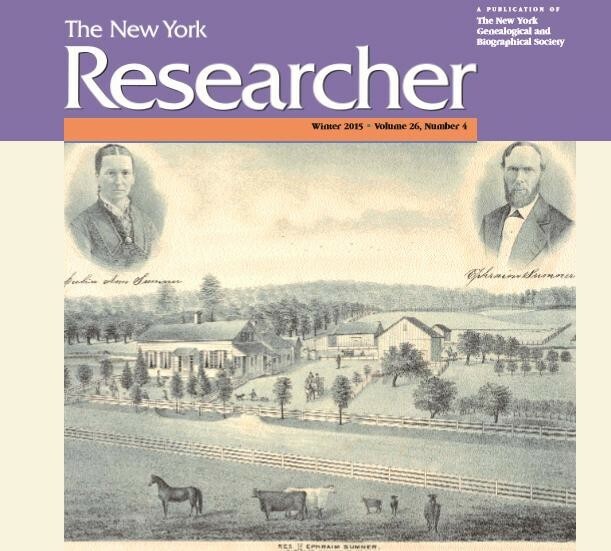 We also have digital copies of The New York Researcher (formerly the NYG&B; Newsletter), which has been published by the New York Genealogical and Biographical Society since 1970. The colorful quarterly review features instructive articles on genealogical research techniques and New York resources, profiles of repositories and genealogical societies across New York State, program announcements, website news, and book reviews. You can preview the latest issue we released here. Our searchable collection of the Record and the New York Researcher allow readers to search across the entire collection by keyword or narrow their search by volume, issue, page number, publication year, or article title. We also have collections that are easy to browse as well. We have 28 years' and over 400 articles digitized from the publications of the Genealogical Society of Pennsylvania. The issue dates range from 1895-1923 and this collection provides a wealth excellent sources for some of the earliest years of American history. You'll find dozens of articles about cemetery records, church records, wills and other vital records, and of several hundred focused on various surnames. There are a stunning number of articles on record sets from the late 17th and early 18th century, providing some rare evidence of our earliest American ancestors. Remember, one of the most important tips for searching PERSI is that the index is done by subject - searching for a name may not yield results unless your ancestor is the subject of an article. For this reason, you'll likely need to browse these early records to make the most discoveries. It would be simply impossible to index every name in PERSI, but searching based on subject and browsing a little bit can help you make some amazing discoveries. 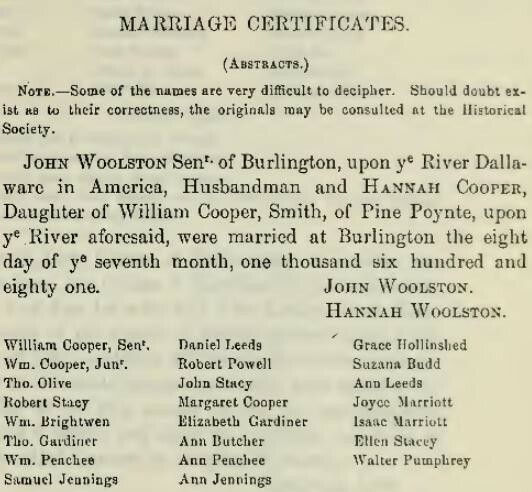 With these digital images, this information from the Genealogical Society of Pennsylvania that was published over 100 years ago can be easily located thanks to PERSI. These publications are just the tip of the iceberg - make sure to check out our full list of available issues.